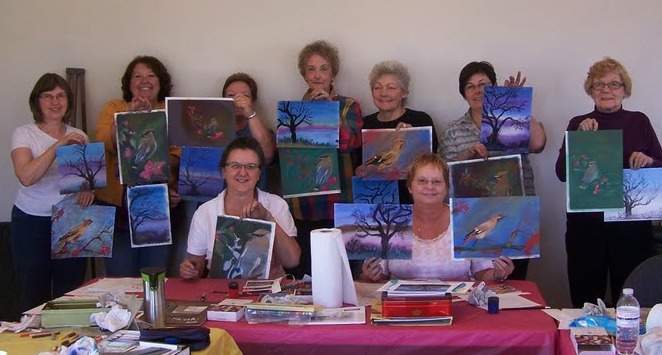 Arts and cultural activities are popular pursuits in the Town and County of Barrhead. The community hosts a large number of active and talented art and cultural groups. Offers various arts and crafts courses and workshops from September through June. Hosts national and international entertainment at least 5 times a year. Offers a number of theater productions throughout the year. This talented group of amateur performers and singers have presented works such as "The King and I" and "Annie Get Your Gun to The Odd Couple." With over 30 active members, the club presents two shows annually, and on a rotating basis at the Barrhead Public Library Gallery and at the Pembina Hills Regional Division Head Office. The club offers workshops and regular lessons at the beginner, intermediate, and advanced level. A number of artists have received recognition as juried members of the Alberta Society of Artists and The Federation of Canadian Artists.